This is Overseer Lady Josephine. 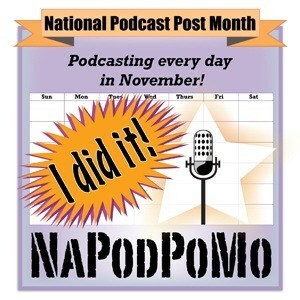 I got her from a Menagerist Goblin during the gap between Season 11 and Season 12. The flavor text on Overseer Lady Josephine says: You cannot keep me in this teddy bear forever. This isn’t even my final form! 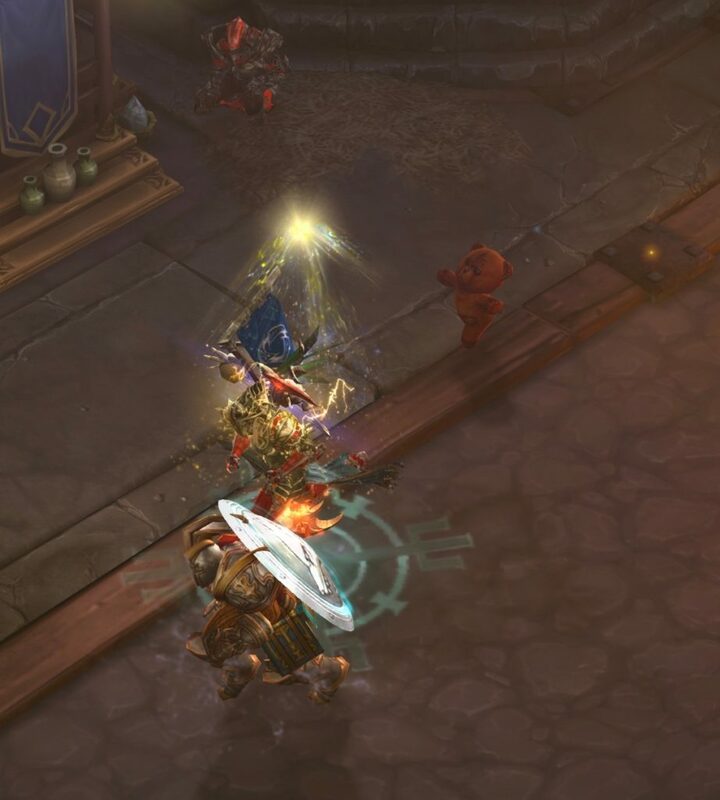 My Crusader is somewhere in the middle of this battle against a Menagerist Goblin. It is the only type of Treasure Goblin that can drop a pet. Why does my Crusader have all three Followers in this screenshot? It’s because she is wearing all four pieces of the Asheara’s Vestments set. 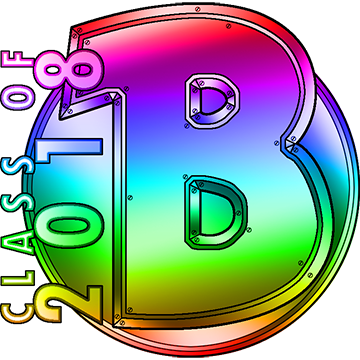 The coolest thing about this set is that there is a small chance that all three Followers will teleport to the player and assist them in battle. 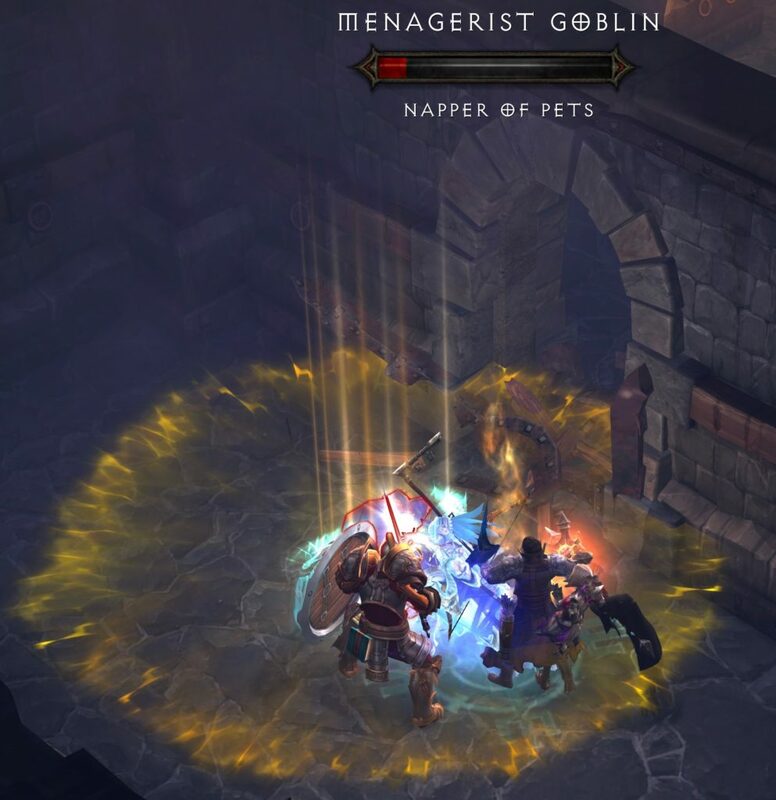 When a Menagerist Goblin drops a pet, it will look like a Legendary item. Pick it up, just like you would any other loot, and it goes directly into your bag. 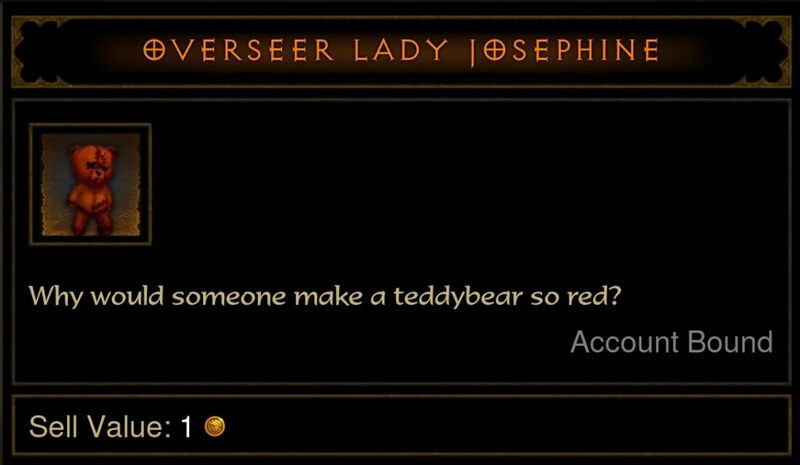 The flavor text on the Overseer Lady Josephine item says: Why would someone make a teddybear so red? Click on the pet item that is in your bag – and it automatically goes into your Wardrobe. The new pet will put itself somewhere among all the other pets you have collected. 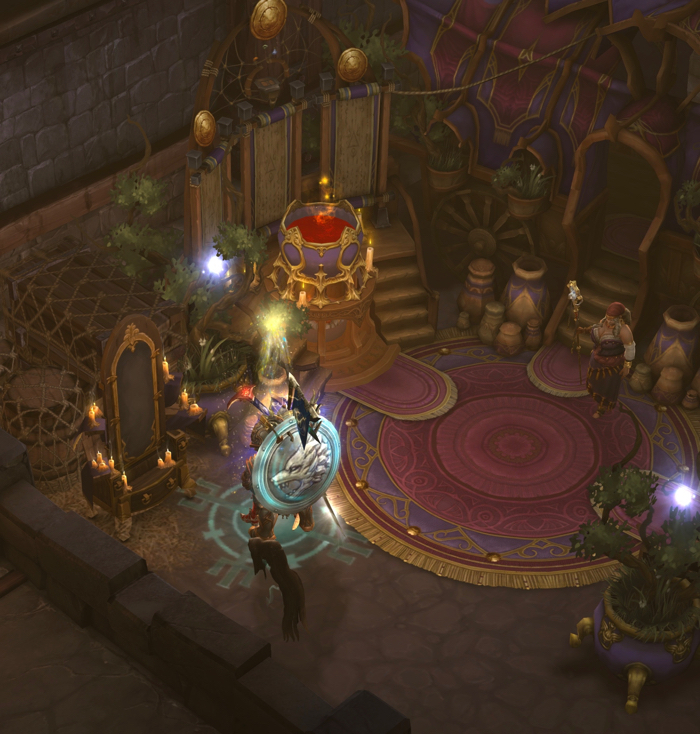 Overseer Lady Josephine follows the player around and picks up gold that has fallen on the ground, just like all the other Diablo III pets do. In the screenshot above, Overseer Lady Josephine appears to be merrily skipping along behind the Crusader. It is both delightful, and disturbing, at the same time. 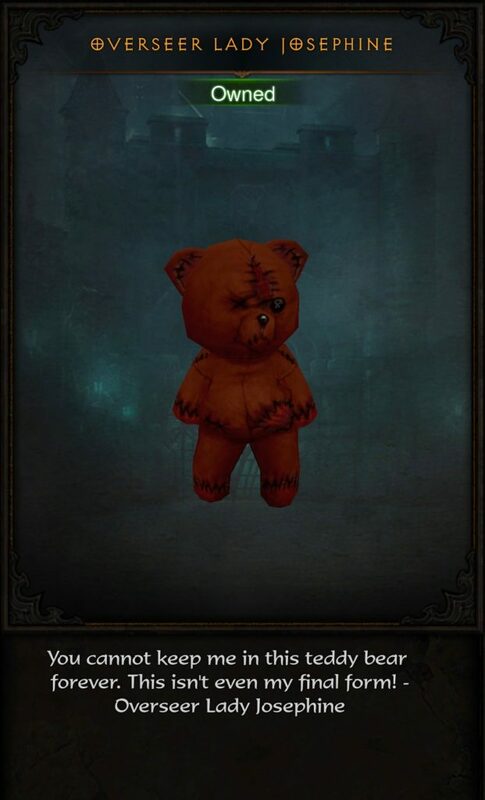 This extremely red teddybear was added to Diablo III before Blaine’s Bear (which appeared in Season 13). The two teddybears appear to be the same model. The difference is Overseer Lady Josephine is entirely red, and Blaine’s Bear is white with bloody, red hands and blood on its face – and sharp objects for claws. To me, they both resemble Cuddle Bears – which are not your friends! 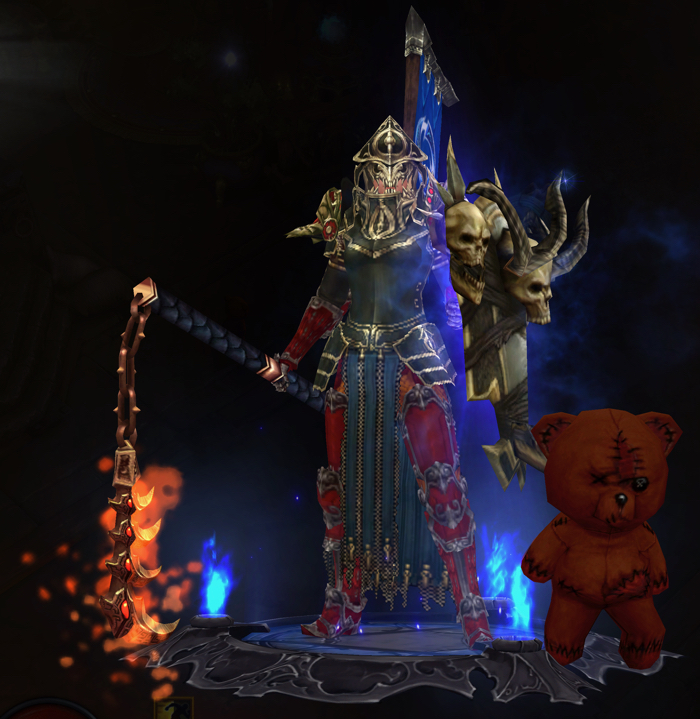 Here is my Crusader with Overseer Lady Josephine. 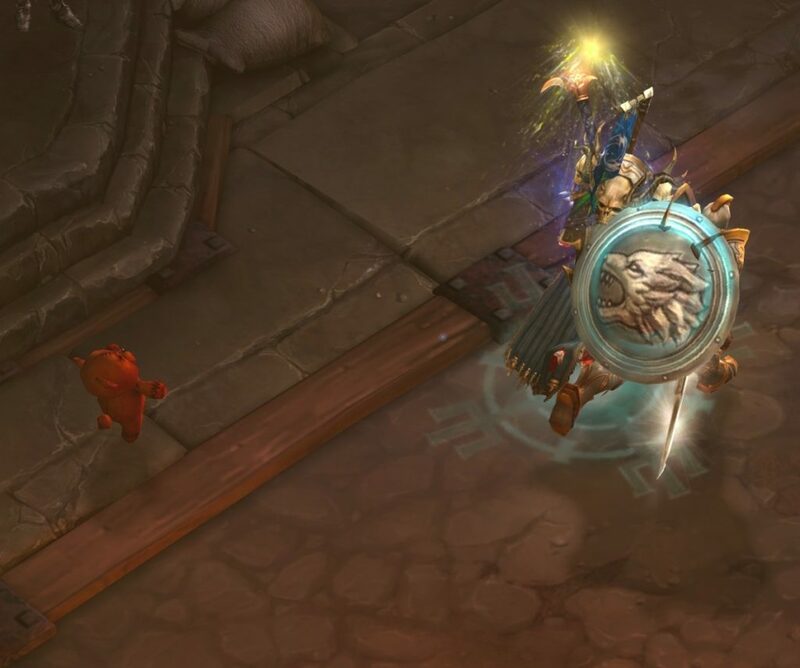 This pet has that “creepy/cute” thing going on that Diablo III does so well with its pets. I’m not sure if Overseer Lady Josephine is a voodoo doll, a possessed teddybear, or something else. 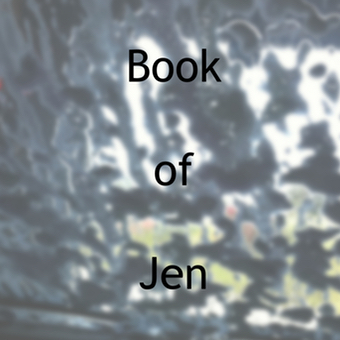 Overseer Lady Josephine is a post written by Jen Thorpe on Book of Jen and is not allowed to be copied to other sites.